It’s not long now until Leeds Festival 2016! After attending 2 Festivals already this year and heading off to 2000 Tress and Leeds Festival within the next few weeks, it’s about time I shared some beauty tips to keep you looking on fleek in a field, isn’t it? ✓ Use Contact Lens cases to store your weekends worth of beauty potions. 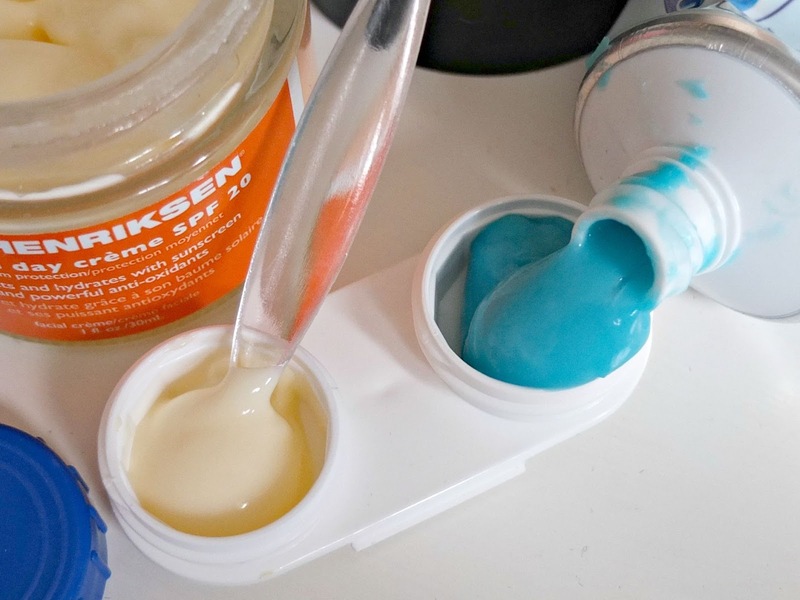 This is particularly useful for toothpaste and moisturisers. Especially when you live on the fancy side of the skin care tracks and your moisturisers and skin care is in hefty glass bottles and jars usually. Glass isn’t allowed on the campsite, so the last thing you want is your snazzy Ole Henriksen cream that smells like lemon cheesecake getting confiscated. ✓ Get daily contact lenses for the weekend. If like me, you wear monthly contact lenses, you’re going to 1. have used your contact lens case to store skincare and 2. get pretty drunk and few times and ‘forget’ to take them out in the evening (read; 4am in the morning) and end up with crinkly little disks in your eyes. Failing the daily contact lens route, just make sure you have several spare pairs of monthly lenses to avoid the ‘Penfold from Dangermouse’ chic look. ✓ If you use an electric toothbrush, make sure you get a cheapo manual toothbrush for the weekend. There’s nothing worth than waking up with JD breath and the battery on your electric one dying. It’s a sure fire cocktail for death breath and ain’t nobody gonna be drunk enough to handle that. Even at a festival. ✓ Even if it’s raining all weekend, make sure you use skincare products with SPF in. Whether it’s your moisturiser or your foundation, there’s no excuse. The sun will still be spreading it’s rays despite the clouds, so make sure your skin is protected, because let’s face it – you’re going to be exposed to the outdoors for over 36hours+ in total! ✓ Go for multiuse beauty products, You know, lipsticks that can be used as blusher, highlighters which can be eyeshadow and the like. It’s easy, makes ya look pretty and saves room in your bag for important stuff, like gin. ✓ Take plenty of bobbles and a tangle teezer. I wasn’t a fan Tangle Teezer Brushes when they launched, but they are actually the ideal brush for festivals and well, holidays in general. Lightweight and compact, they actually get the knots out of your hair. You can then go on to perfect that fishtail braid through the day 3 grease. ✓ Waterproof. Everything. Mascara, eyeliner, hell, even your foundation if you can find it. After a downpour, or crying about your wellie getting stuck in the mud, you’re going to be kissing that Waterproof No7. Just you watch. ✓ Take some talcum powder. This retro powder is useful for more than one thing when it comes to Festival Essentials. If you find your wellies are rubbing, pop some talc in. Forget your deodorant? Splash some on your pits. Even making a great substitute for dry shampoo, talc is the all round wonderkid in your festival kit that you might have forgotten about. ✓ If you’re not fan of facewipes and haven’t get perfected the art of washing your face with a bottle of water, then you might want to try those new Garnier Micellar Wipes or the new small travel size bottle of Garnier Micellar Water too. Both mean you’re being friendly to your skin by treating it to a good ‘wash’ every night!